By Nancy Mauro-Flude, January 3, 2017 at 1:18 am . The Creativity and Cognition 2017 conference will bring together a unique selection of international artists with diverse cultural and artistic backgrounds. The conference’s ‘Microbites of Innovation’ Art Track is an exciting opportunity to bring the audience closer to the front line of aesthetically-oriented advances in Human Computer Interaction (HCI). Proposed artworks should question various forms of bio-techno embodiment on an aesthetic, cognitive, genetic, or even a microbial level, in order to reveal the inner workings of technological innovation. The 11th ACM Creativity & Cognition (C&C) is the first to be run in Asia. C&C has evolved into lively interdisciplinary meetings, bringing together artists and scientists, designers educators, and researchers. We seek to understand human creativity in its many manifestations, to design new interactive techniques and tools to augment and amplify human creativity, and to use computational media technologies to explore new creative processes and artifacts in all human endeavors ranging from the arts to science, from design to education. We welcome contributions from researchers and practitioners, from artists and scientists, from designers, educators and decision makers. Microbites of Innovation is the Art Track of the Creativity and Cognition 2017 conference which will bring together a unique selection of international artists with diverse cultural and artistic backgrounds. The showcase responds to the emergent conditions of a networked world – a realm increasingly transmitted through ubiquitous fibers, decoded systems, and micro-bytes of (bio)technological advancement. The curators have invited proposals to draw upon critical and speculative methods which may probe and scrutinise the techno-utopian visions of a society empowered by sensing technologies, bio sequencing systems, and data clouds. The artworks premise should question various forms of bio-techno embodiment on an aesthetic, cognitive, genetic, and even a microbial level; revealing that the inner workings of technological innovation are open to critical inspection. Hosted at a prestigious venue for art and science in Singapore, spectators are invited to join the artists in their contemplations by connecting through the showcased assemblage of performances, interfaces and apparati – notwithstanding additional unique programmed events that will allow for considered, speculative and meaningful exchange. The 11th Creativity and Cognition conference is an inaugural event for Asia and the Microbites of Innovation Art Track is an exciting opportunity to bring the audience closer to the front line of aesthetically oriented advances in Human Computer Interaction (HCI). The Art Track theme Microbites of Innovation invites the authors to address issues in diverse areas of Human Computer Interaction (HCI) innovation including microcomputing (embedded systems, wearables, implantables) as well as biotechnological art (wetware, food and microbiological art, biohacking). 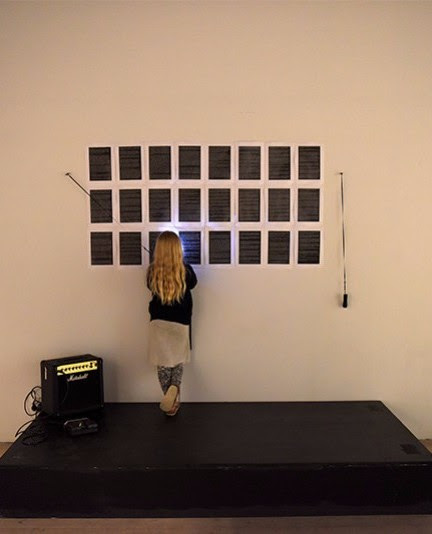 We are calling for creative proposals including installations, live and non human performances, prototypes, and demos from authors working at the intersection of Art, Design and HCI. The theme Microbites of Innovation is proposed as a creative mirroring of the main C&C conference theme Lifelong Creativity, Learning and Innovation. All selected works will be showcased at a prominent art and science platform which will enable the authors to interact with audiences of diverse backgrounds and interests in science, technology, art, and design. Local and regional participation from South East Asia is particularly encouraged. The curators would also like to invite proposals from students in New Media, Interaction Design, Fine Arts programs (and beyond). The C&C Art Track seeks to support both established and emerging artists including those located beyond the field of academia. Authors of Art Track proposals do not need to have previous experiences from large HCI events and conferences such as C&C.